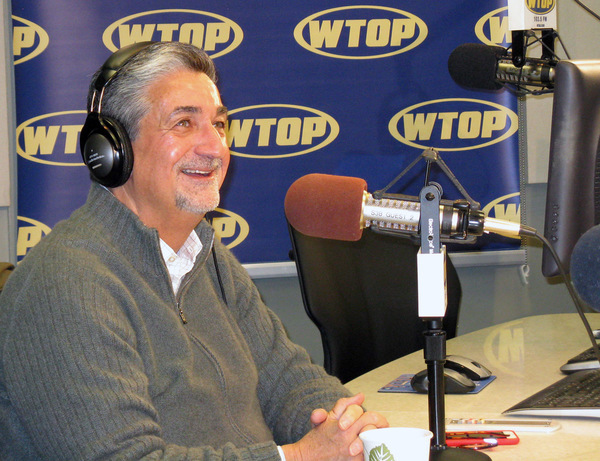 Washington Capitals and Wizards owner Ted Leonsis joins WTOP at 10 a.m. on Monday for "Ask the Owner." He'll take your calls and questions live. Join the conversation. Click on "Make a Comment" to ask a question or post a comment for Ted Leonsis. Ted Leonsis visits the Glass Enclosed Nerve Center in this WTOP file photo. And we're off and running. We'll pull selected questions into the blog as we go this morning. Any thought to lowering ticket prices in the upper deck? It's tough to bring a family when tickets are $50 a piece. Your neighbor to the south, the Carolina Hurricanes has a much more affordable ticket range. Hello Ted, Will there be a new title sponsor for the Verizon Center after 2018? Please #AskThe Wizards owner if he believes the team, as constructed, can ever win a championship. Leonsis says in addition to Wizards practice facility and home for Mystics, he hopes to bring an NBA D-League team to Ward 8 Entertainment & Sports Arena. On Ward 8 facility: "It's really close, although it feels sometimes that it's really, really far away." More on ESA: "I'm hopeful that it will be up and running for two seasons from now." Can you improve the food vendors in Verizon? Or at least kid friendly meals? How about bring Indoor soccer or Box lacrosse to DC? Leonsis: Under new agreement with Comcast, fans who are Comcast customers can stream live games to their mobile devices. On feedback: "Small panels can be deceiving...You need to be able to hear directly from lots and lots of people and consumers." On Wizards: "We make the investments and we spend right up to the salary cap." More on Wizards: "It's very, very early." Cites injuries, says he expects free agent signee Ian Mahinmi to be back within 10 days or so. More in Wiz: "We think we have a very, very accomplished starting five when they play together." On GM Ernie Grunfeld: "I have confidence in everyone who works for me, but we have to be accountable." On possible further AFL expansion along Acela Corridor: "It would be good for all of those cities and towns, good for the fans, good for the players." Leonsis says new Baltimore AFL team will play at Royal Farms Arena downtown. On Caps: "All I can do as an owner is put us in a position year after year after year to be competitive...You just have to believe organizationally, with the players that we have, one of these years it goes our way." Why can't I sell my extra Capitals season tickets on Stubhub? NHL Ticket Exchange is not a good alternative and tickets are harder to sell. On losing in the playoffs: "The day that it doesn't take a toll on you is the day that you should sell the team." More on Caps: "I have a lot of confidence in our front office, our staff, and I remain optimistic." On any tension between John Wall and Bradley Beal: "I do think people have overreacted to 'a rift'...I've heard Bradley Beal refer to John as his big brother." On Scott Brooks so far: "Scott is a player's coach, he's upbeat, he's not down, he's optimistic. He's been given all new tools, new players." "To be blunt, the bench hasn't played all that well." On future naming rights for Verizon Center: "I would love for GEICO or Marriott to be our naming rights partner, someone local." Leonsis says new Baltimore AFL team name should be announced in the next 30 days. 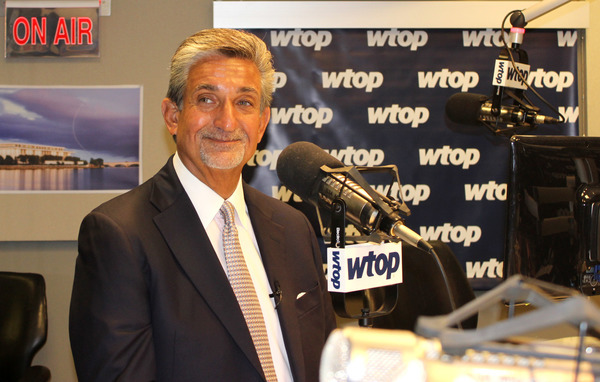 WASHINGTON — Monumental Sports & Entertainment CEO Ted Leonsis joined WTOP Monday morning to talk about many developments taking place within his organization. In addition to discussing the developments with the Capitals, the Wizards, and the new Entertainment & Sports Arena in Ward 8, Leonsis dropped the surprise announcement that MSE is launching a second Arena Football League team in Baltimore to compete with the expansion Washington Valor. Read the full story at WTOP.com.